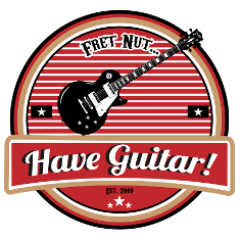 September 2018 - Fret nut... Have Guitar! Finally got my Kemper back from service… or finally? It actually didn’t take much time but it felt like an eternity! Anyways – here is the ToneCrate September 2018 Kemper Bundle! Featured artist this time around is Rob Arnold known from Chimaira and The Elite. Amps used is Pvy6505 and Bogner Ubershall! There is also some base profiles taken from a Fender BXR amp plus a bonus profile not included in the bundle. If you don’t know what ToneCrate is about – it’s pretty much like the LootCrate but with Kemper profiles. You sign up for a subscription and each month you will get a new pack of Kemper profiles and a bonus. The bonus so far has been more profiles but it could apparently be other stuff as well! A very nice and fun concept that I support of course! And here we go – to all you subscribers: an enormous Thank You, as always! But you… yes you. You could be thanked too if you subscribe now. C’mon, it’s free and gives me the support needed to keep this up and maybe even expand the channel!